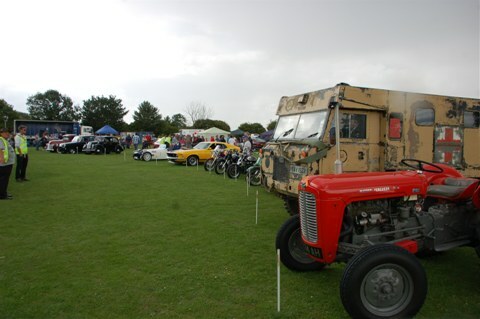 Despite the poor weather the show was still well attended on Sunday which resulted in another successful year with profits in excess of £2,250. Additional funds were also raised by other Village organisations that ran their own stalls. 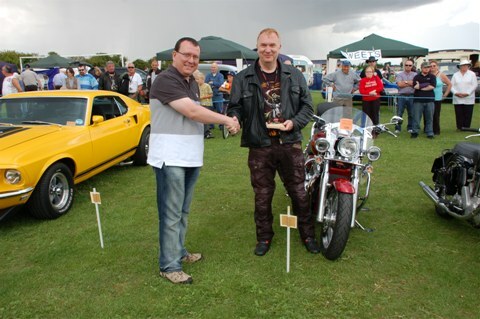 Show entries were slightly down this year for the Show and Shine in the Bike classes mainly to do with the weather but nevertheless the car entries made up for the loss with a total of 166 entries in total. Cheques to be presented to Parson Drove Amenities 95 for £1000, East Anglia Air Ambulance £500 and Magpas £500. The organisers would like to thank all sponsors and helpers who made the weekend so successful. 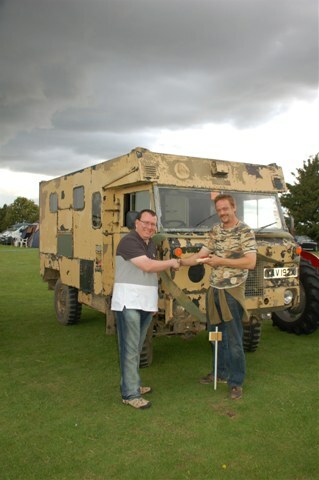 Next years show will be on 14th and 15th July. 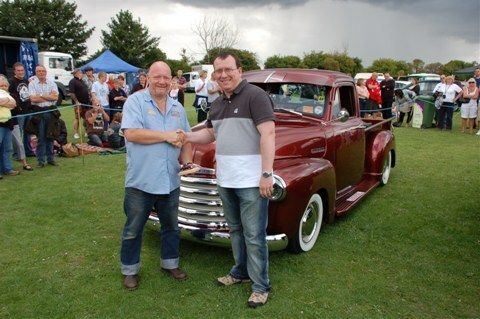 Class 1 Best Classic Car sponsored by R.T.Motors 102 Terry Tibbs with a Chevy pick-up truck. 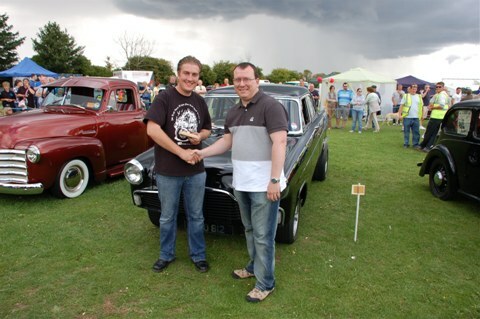 Class 2 Best Custom Car sponsored by Parson Drove Post Office 39 Jay Budd with a Ford Zephyr. 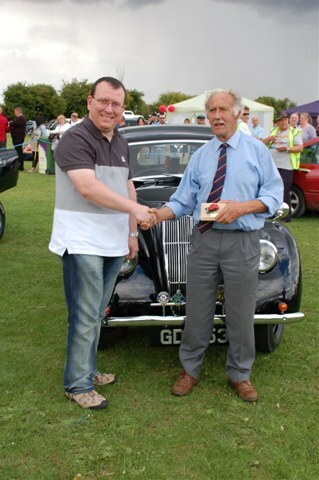 Class 3 Best Pre-50’s Classic Car sponsored by Whittlesey Pine 33 Alan Smith with a Morris 8. 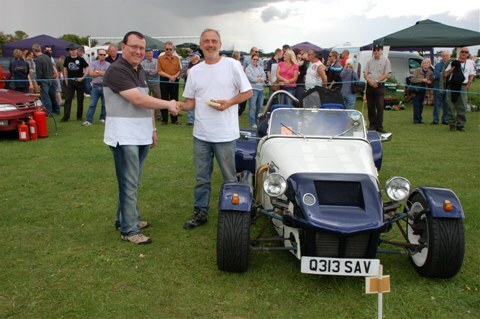 Class 4 Best Kit Car sponsored by Reader Electrical 67 Mr Brown with a Robin Hood. 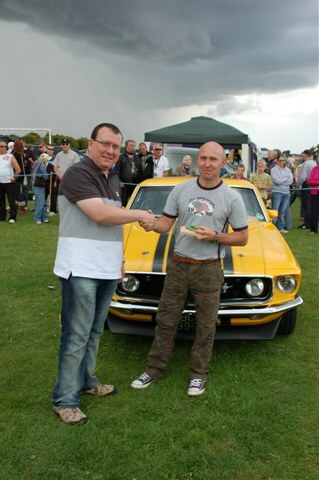 Class 5 Best Car in Show sponsored by John & June Rose 110 Mark Vaughan with a Ford Mustang. 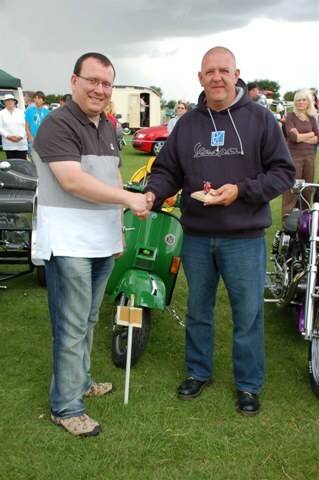 Class 6 Best Classic Bike sponsored by J.B.Bikes 98 A Stimpson with a Triton. 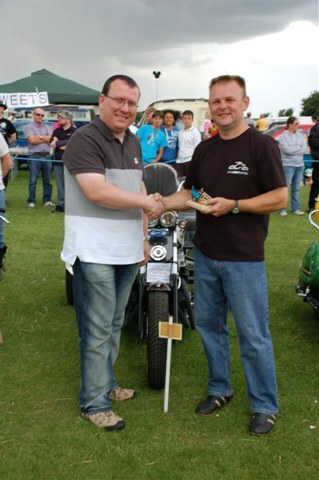 Class 7 Best Custom Bike sponsored by Fenland Choppers 125 O Laos with a Triumph Thunderbird. 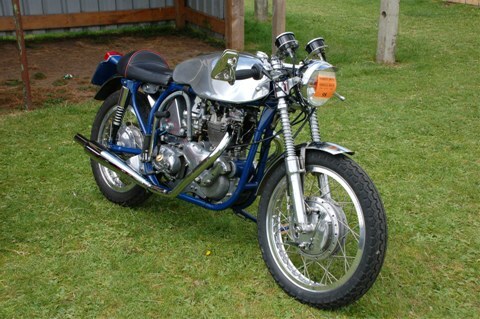 Class 8 Best Pre 50’s Classic Bike sponsored by Harmony Roofing, 94 G Allison with a Norton ES2. 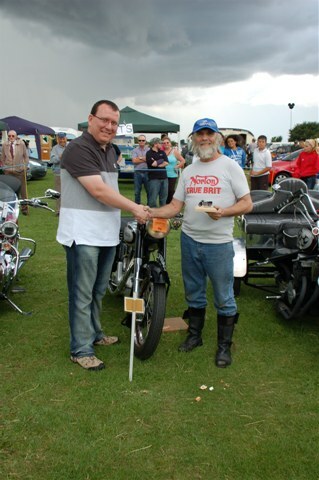 Class 9 Best Trike sponsored by the Swan Inn, 90 M Drobach with a Honda 750 Trike. Class 10 Best Scooter sponsored by AB Glass & Windows, 108 N Johnson with a Vespa PX200. 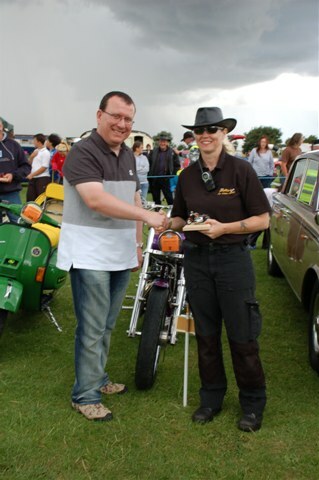 Class 11 Best In Show Bike sponsored by R P M Signs, 2 Donna Quarrington with a Harley Davidson. 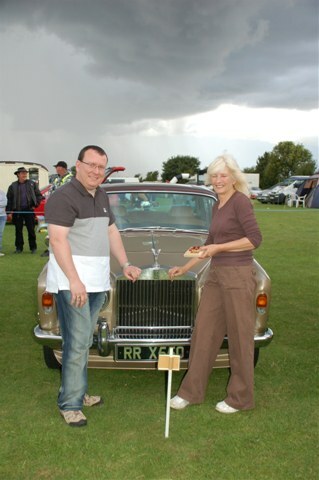 Class 12 Best Paint Job sponsored by D.J Elbury & Son, 42 Ian Budd with a Rolls Royce. Class 13 Shed of the Show sponsored by Guyhirn Tyres, 100 K Kelner with a Landrover Ambulance. 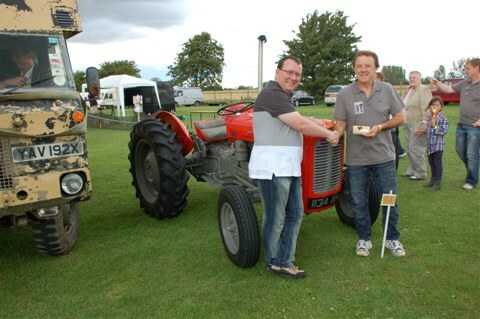 Class 14 Best Tractor sponsored by Fishlocks Stables & Groundwork, 131 G Short with a Massey Ferguson.